In an amusing turn of events, an Arab woman has filed for divorce while she was on honeymoon with her husband after realising he is stingy. When it comes to money, mutual understanding is very important especially when two people are living together. When attention isn't paid to it, things can turn very ugly. 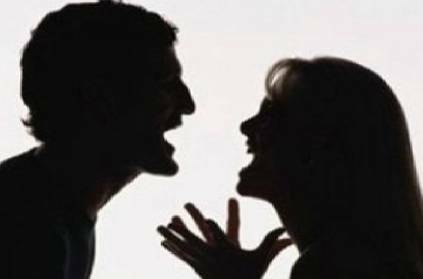 Such is the case of an arab woman who had had enough of her husband's attitude that she ended up filing a divorce in Abu Dhabi court. According to India Times, the woman said that the husband, who was 13 years younger to her, refused to pay for the expenses occuring during the trip and otherwise. She also stated that the husband didn't pay for the wedding as well. The angry woman further said that she was willing to waive all her rights to get the divorce. He has asked her to take care of the expenses as he had lost all of his personal documents. ‘உள்ள போனா தற்கொலை பண்ணிப்பேன்’.. டாஸ்மாக் முன்பு கத்தியுடன் அமர்ந்த பெண்! 7 பிள்ளைகள் இருந்தும், மாற்று சேலைகூட இல்லாமல் நோய்வாய்ப்பட்டு, தனிமையில் வாடும் தாயின் அவலநிலை! 'தாயின் கருவில் இருந்து குழந்தையை எடுத்து மீண்டும் உள்ளே வைத்த மருத்துவர்கள்' ..பதறவைக்கும் காரணம்! திருமணமாகி 3 நிமிடத்தில் கணவரை டைவர்ஸ் செய்த மனைவி.. இப்படி ஒரு காரணமா? This page contains news relating to various facts and events. The views are generally about current affiars and general topics in diversified areas such as political, international, national, and regional issues, sports, health, travel, lifestyle, technology and business. People having similar interets on the above topics will find this page useful. Arab Woman files for divorce while on honeymoon | Fun Facts News.